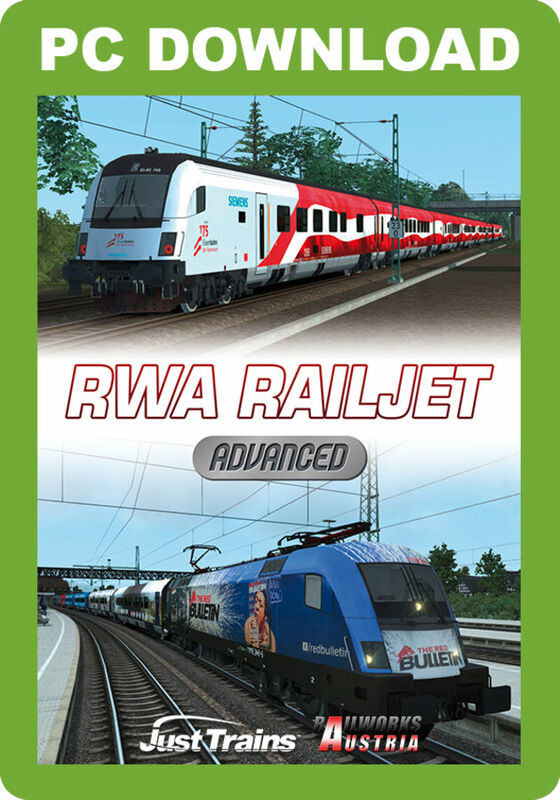 May 11 2017 - the RWA Railjet has been massively updated - see the Support page for full details! 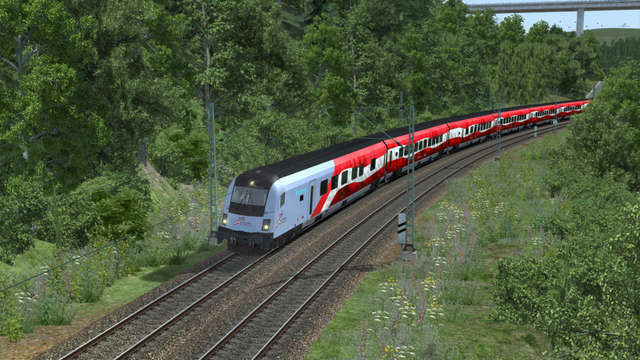 Experience one of the world’s most modern high-speed trains - the Austrian Railjet. 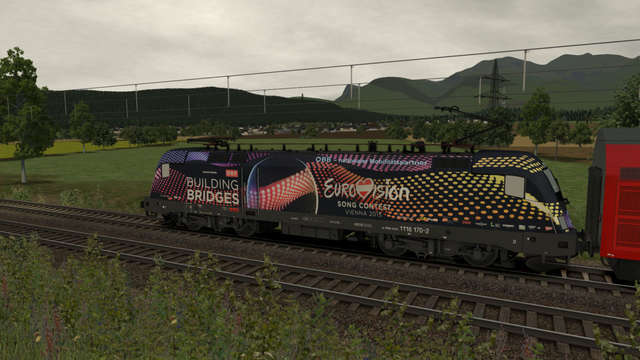 This powerful train is pulled by the world’s fastest electric locomotive and operates across Europe. 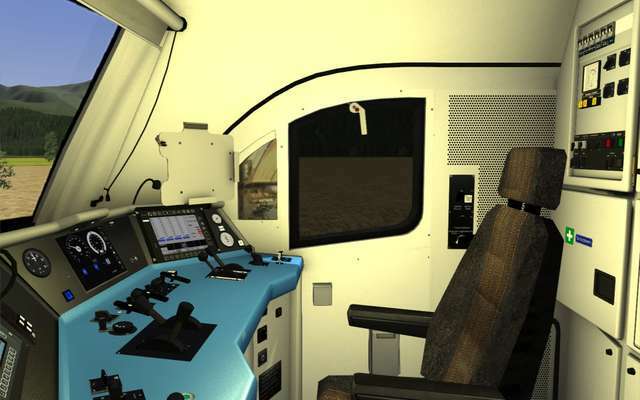 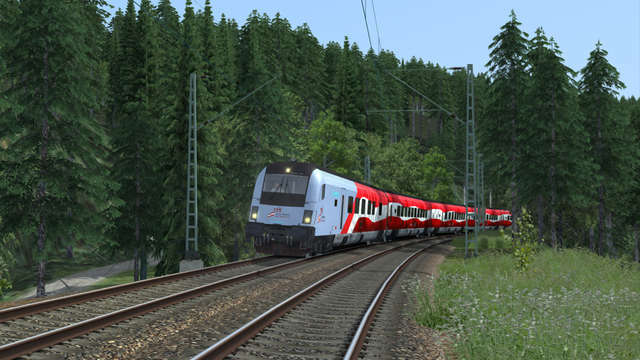 Railworks Austria has teamed up with Just Trains to bring you this exciting train with an astounding level of detail. 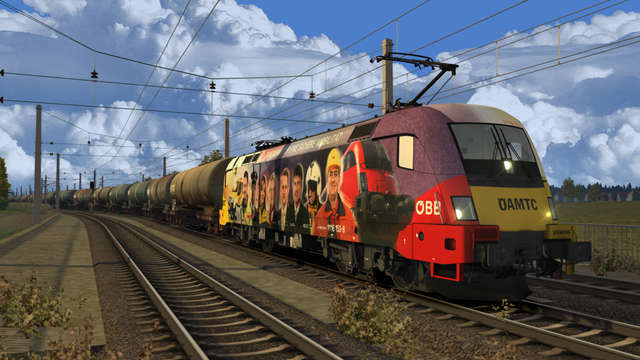 The package includes seven different Railjet trains, a fully functional and highly accurate model of the Taurus 1116 and 1016 series locomotive in many colourful authentic billboard liveries, with fully working driving vehicle and many different cabs depicting different versions of the loco and the driving vehicle. 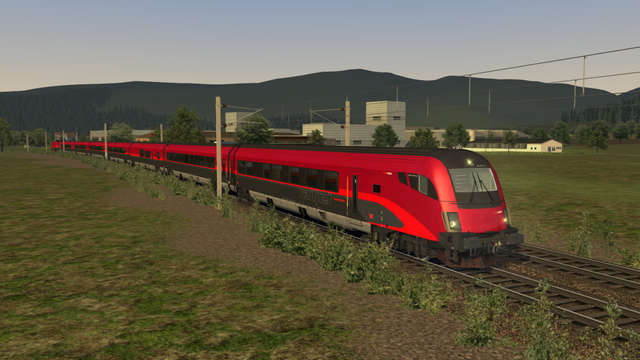 The Railjet was created with the help of the Austrian Federal Railways (OEBB) and developers were given full access to all areas. 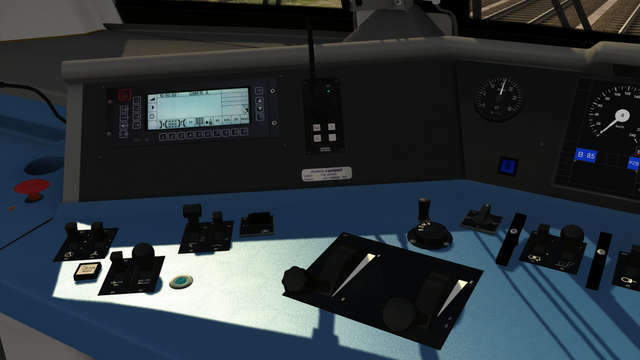 On-board systems like PZB, LZB, ZUB and functional DDI (Diagnostic Driver Interface) have all been replicated. 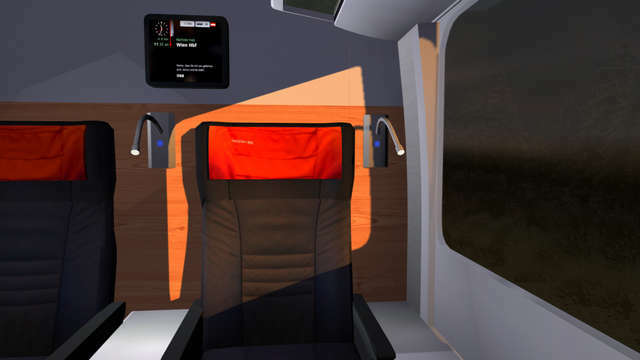 To make the product as accessible as possible there is also a Quick Start option and even a working fuse box, where the driver can pull the necessary fuses to de-activate safety features. 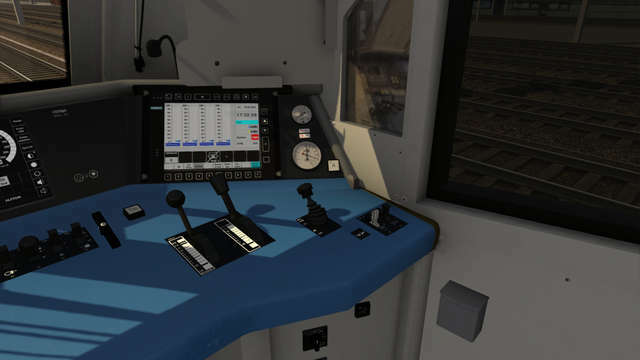 Please note also that the following routes are not included in Train Simulator by default and are not supplied with this RWA Railjet add-on. 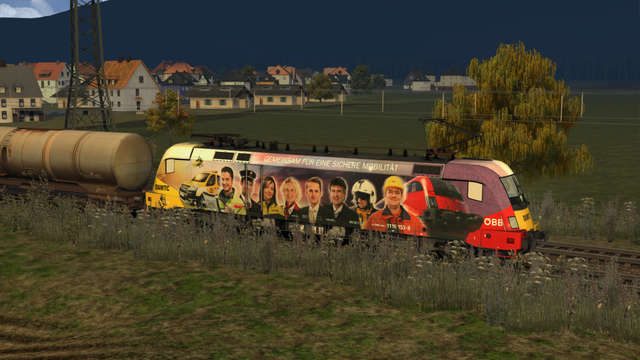 You can purchase them either from the Just Trains website or from the STEAM store. 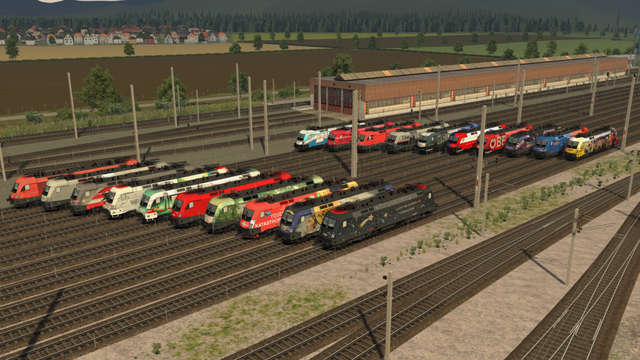 The line between Feldkirch and Switzerland is closed due to maintenance and all trains are routed via Rorschach (this has happened in the past). 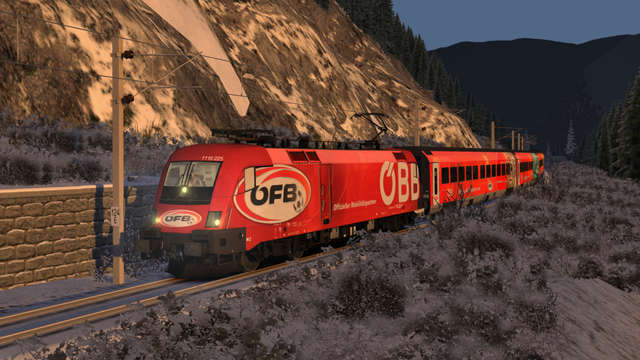 Take over the Railjet train to Vienna and drive it to Feldkirch. 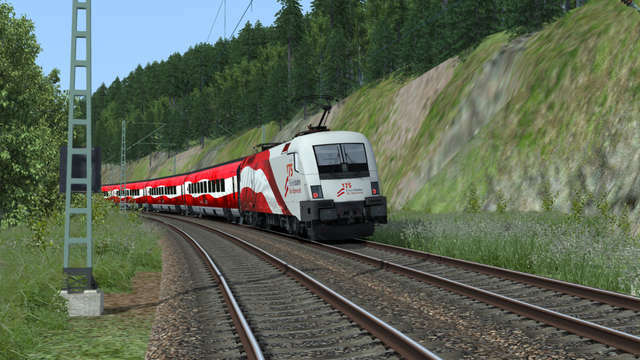 Remember that you will have to set the Swiss software for driving in Switzerland. 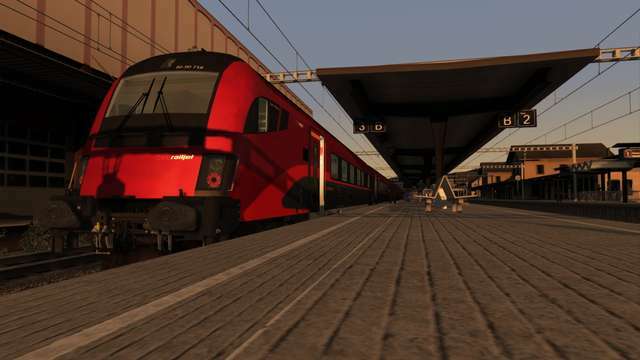 The Railjet from Vienna has just arrived. 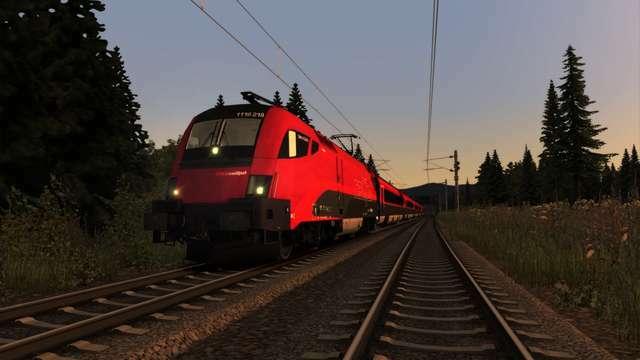 Take it on its last stretch to Lindau. 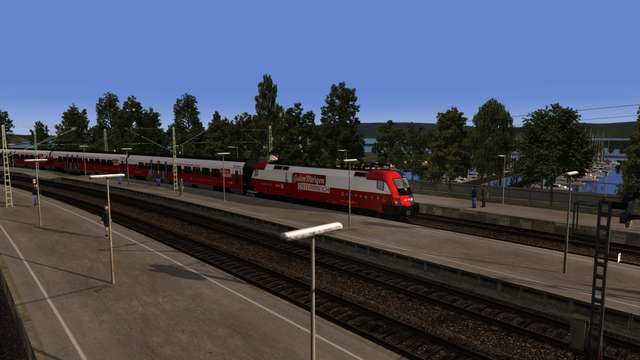 This is a double unit that has to be uncoupled in Bregenz. 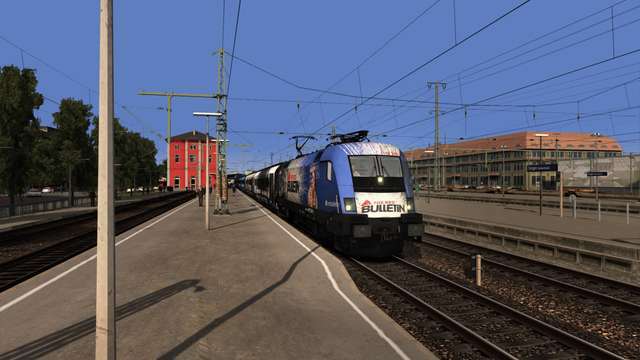 Only the front unit can proceed to Lindau. 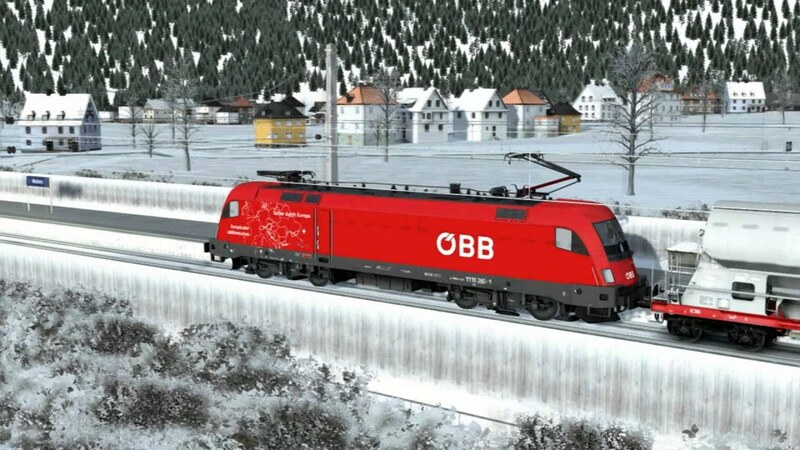 Take over this double unit and drive it up the pass. 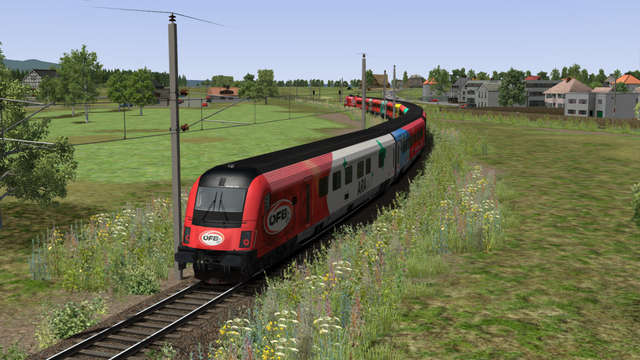 It is raining heavily so be careful! 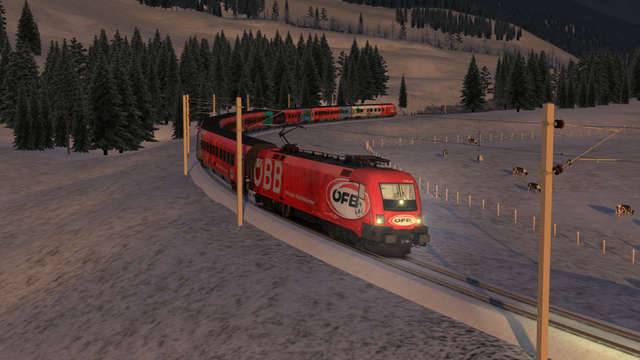 It’s a cold winter’s day and your job is to drive a Railjet across the pass. 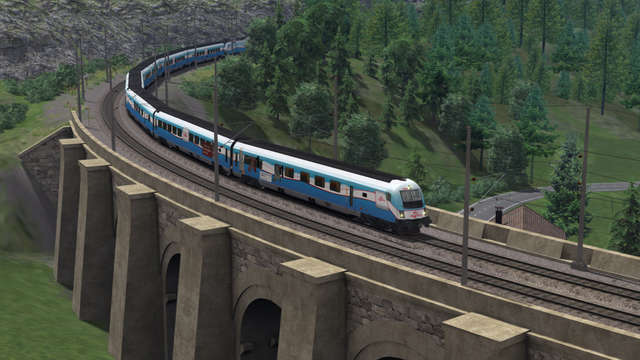 Your job is to drive a Railjet across the pass. 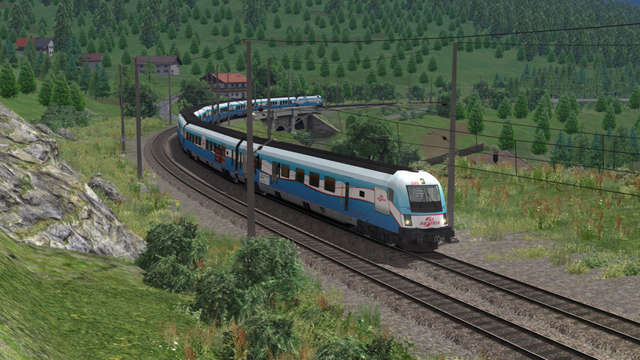 This train stops at Semmering. 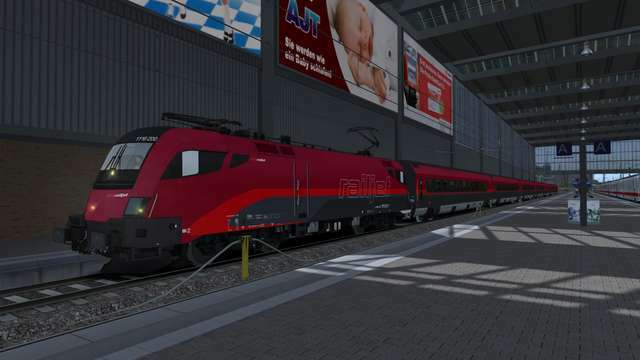 Take over the Railjet from Vienna to Munich and drive it to Munich. 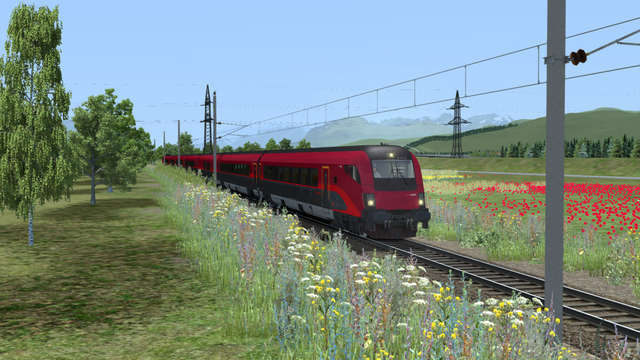 Please note that real-world Railjet trains drive non-stop from Salzburg (Austria) to Munich. 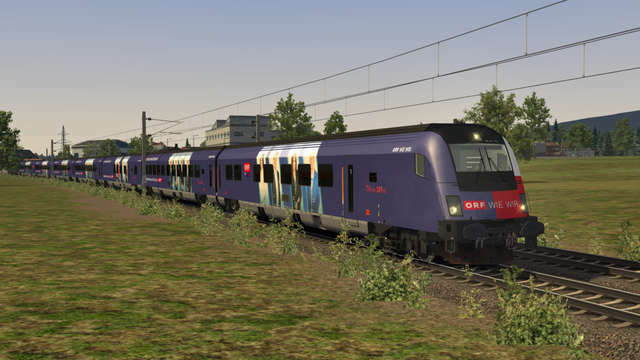 Because this route is not long enough you will be following an Intercity schedule. 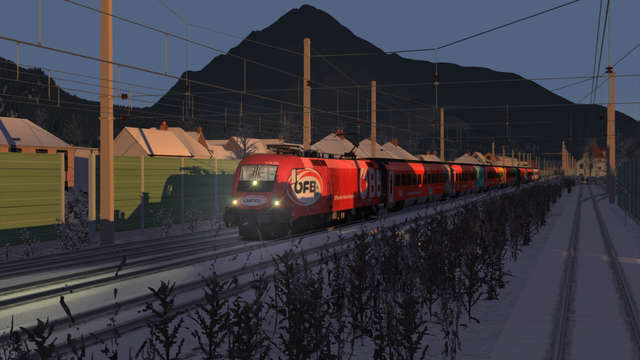 Note: The included scenarios require additional payware add-on routes, as described in the scenario descriptions above. 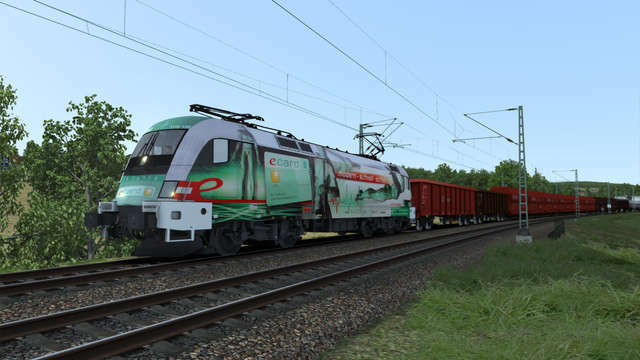 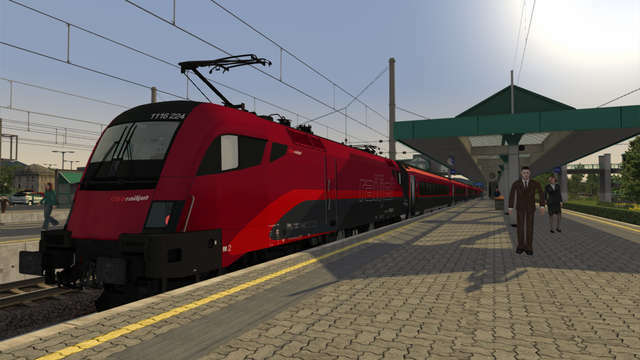 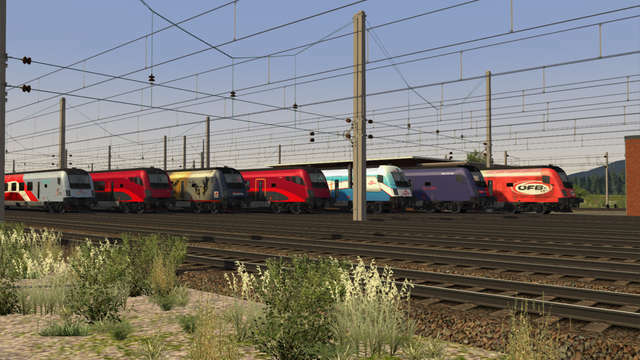 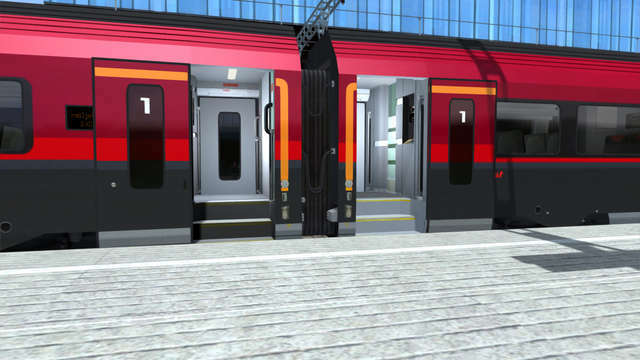 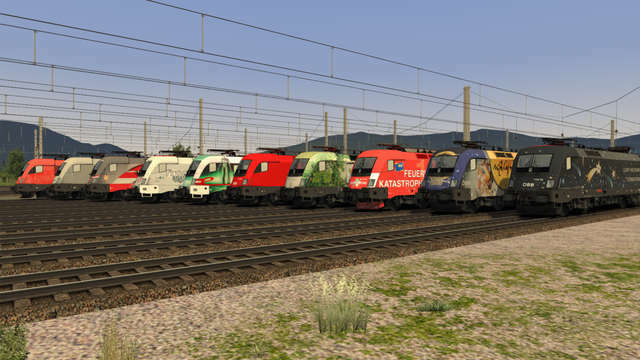 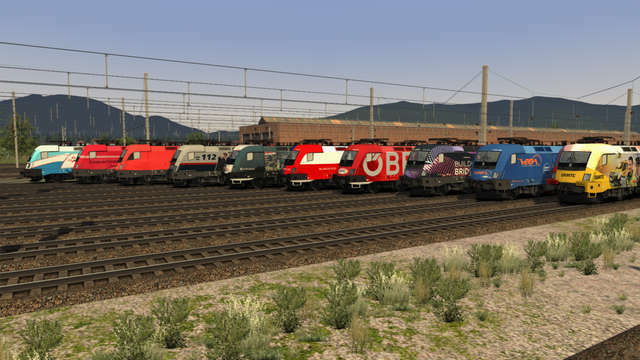 This high speed Railjet collection brings you seven different Railjet trains, a fully functional model of the Taurus 1116 and 1016 series locomotive in many colourful liveries, with fully working driving vehicle and many different cabs. 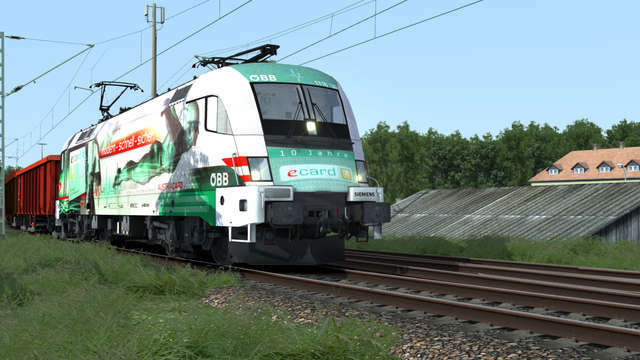 Features include PZB, LZB and ZUB safety systems, functional DDI (Diagnostic Driver Interface), Quick Start option, working fuse box, highly realistic driving controls, different brake modes, mode selector for external lighting, functional 'Roadrunner' train length indicator, full-colour English and German PDF manuals and much more!